According to the most recent news, the conduction of SSC Combined Graduate Level (CGL) Tier-1 Exam has been confirmed which was conducted from 5th August to 23rd August and around 15,43,962 candidates had taken this exam successfully. All appeared contestants are on the lookout for SSC CGL Tier 1 Result 2017 to ensure the status of scores. Latest News (2-1-2017): Wow! I get immense pleasure in telling you that the result of Tier-1 has successfully been released now. Q. How many Candidates have qualified in Tier-1 Exam? A. Total 1,50,404 candidates have qualified in the Tier-I level exam. Q. How many students appeared for the Tier-I test? A. Total 15,43,418 had taken the test conducted from 5th to 24th August 2017. Q. What are the Roll Number of which results have not been declared? Q. How many students had registered for the Exam? A. Well, the number is 15,43,962. The number of total candidates who registered for the exam were 15,43,962 and now all of them are curious to know the declaration of scorecard. 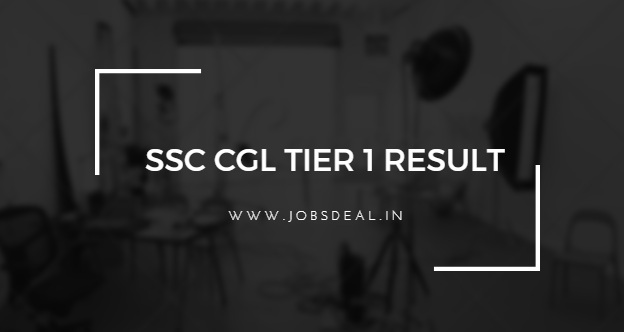 How to Check SSC CGL Tier 1 Result? Firstly, log on to the authorised web portal of SSC, viz. ssc.nic.in. Make sure you are under ‘CGL’ section. You will see the link of your result there. Click on that and get your result. The direct link to download your SSC CGL Tier 1 Result 2017 is easily discoverable in the following paragraph. If there is any question, put it in the comment.